Do you need to own your home with faster processing from a non-traditional lender? With a loanDepot Mortgage, you can buy a house quickly without the lengthy queues while having various benefits. Continue reading to know more on how to avail a loanDepot Mortgage. As a leader in non-traditional lending, loanDepot offers mortgage and other loan types for Americans in all 50 states. Aside from lending money for home buyers, it also offers loans for home refinancing and building. loanDepot makes mortgaging easier compared to traditional banks and lenders. Do you still need to know more about loanDepot Mortgage before ordering? Take note of some of the lender’s advantages and benefits. loanDepot takes pride in the variety of types of loans it offers. including fixed-rate, adjustable-rate, Jumbo, 203k, FHA, HARP, VA, and home equity loans. All you need is to choose one that suits your financial capacity and goals. The lender also operates an advanced digital platform where loan applicants secure a mortgage without a hitch. The company also equips its website with various calculators so applicants don’t need to make complicated computations on their own. You can also have access to up to $2 million in loans through the loanDepot’s Jumbo loans. This feature gives you the chance to own your dream home, as long as the lenders deem you are worthy of obtaining one. The lender also gives education to first-time homebuyers. Through this feature, the lender will provide them with guidance on how to own their first home. 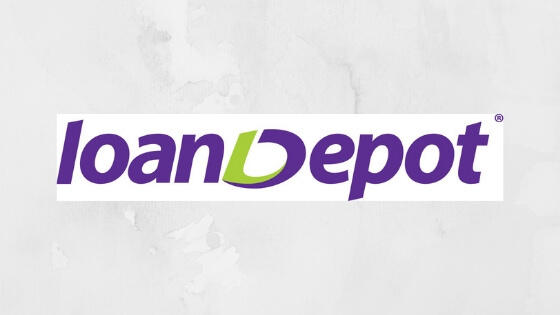 Are you interested in applying for a loanDepot Mortgage? Before you tap or click the Apply Now button, you should know first the lender’s application process and requirements. To apply for a loanDepot Mortgage you should fill out a pre-approval form to get a personalized quote in their website. After checking your quote, a representative from the lender will call back to set an appointment for the loan closing. The lender also requires aspiring borrowers like you to produce documents to check your creditworthiness, financial capacity, and employment history. You should also provide the lender relevant documents such as complete mortgage statements, personal or business tax returns, 2 years of employment history and other papers. To increase the odds of getting approved, you must have an average credit score of 620 or over. You can loan up to $2 million (for Jumbo loan), depending on your creditworthiness, financial capacity and other factors. loanDepot charges a variable origination fee of 1% to 5% that you should pay upfront. You should also shell out a minimum down payment of 3.5%, which can go higher depending on the value of your target home and loan type. The interest rate for a loanDepot Mortgage ranges from 1% to 25%, which you can set depending on your financial capacity. In summary, ordering a loanDepot Mortgage allows you to get your dream home with more control and lower down payment.